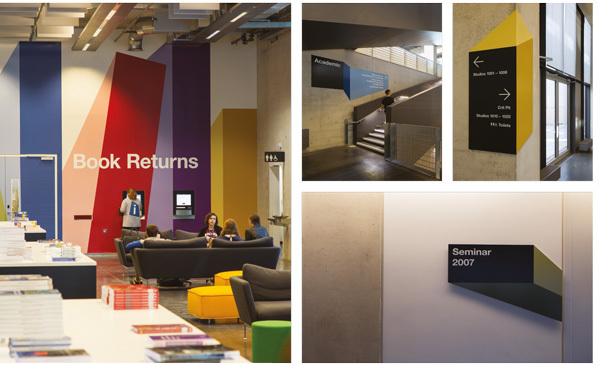 Description of Project: The University of Greenwich: Library and Academic Building is a new Library and School of Architecture. Working with the architects, Heneghan Peng we responded to their solution: ‘the urban grain (striation) is drawn across the site, its dimensions related to natural light penetration, air movement and scale. The grain of narrow and wide bands structure the site, narrow bands containing courtyards, wide bands provide the teaching and learning spaces’.